Hidden in an ancient pine forest at the outskirts of Conil de la Frontera, along the prettiest bays of the South of Spain, there is a place that`s pure and perfect. You can swim next to the 85 years old palm trees or quietly swing your hammock in the shade of the lemon trees, next to the water well. If the weather is too hot, you can relax in the jaima (big Moroccan desert tent) where you can choose a book from the library or play a game of pool whilst sipping an ice cold tinto de verano (Spanish summer wine) from the bar. At night, you can climb up to the roof terrace for a phenomenal look at the stars from the planetarium. 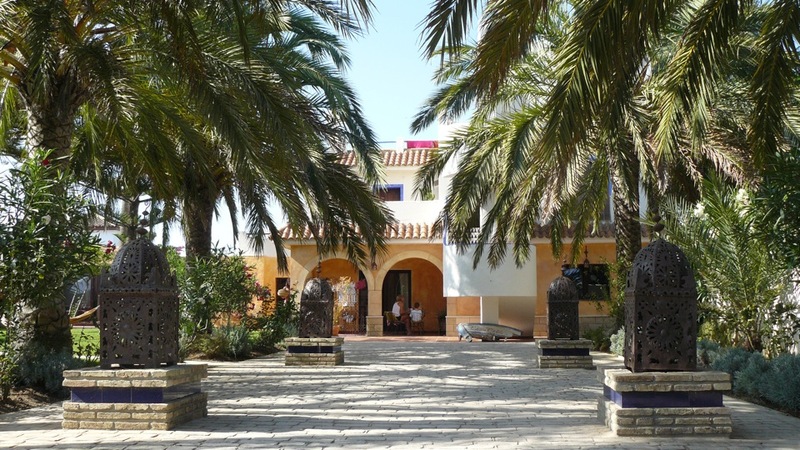 They call it Paraiso Perdido: Lost Paradise, stylish boutique bed and breakfast accommodation in the heart of Costa de la Luz, Conil de la Frontera in the province of Cadiz. Choose your perfect rural accommodation for you and your friends or family. We have spacious double rooms, cottages and suites to accommodate up to 4 people. Here in Conil, we enjoy the sun and the warm weather all year round. 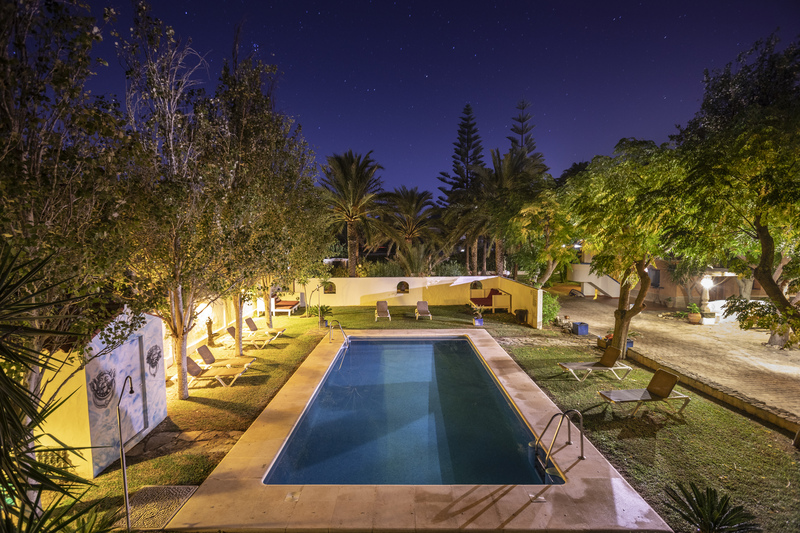 See our current offers and come to Cadiz to explore this magical land with us. Even though our rural guesthouse has everything for you to enjoy your holidays in peace, we have prepared plenty of fun activities for everyone to enjoy them to the fullest. Extraordinario alojamiento, un rincón perdido dónde el trato personal y el entorno se mezclan en un cóctel perfecto, gracias Sergio por crear y mantener este precioso alojamiento, suerte compañero. Very kind and helpfull people. Distinctive; rustic and a very nice atmosphere. 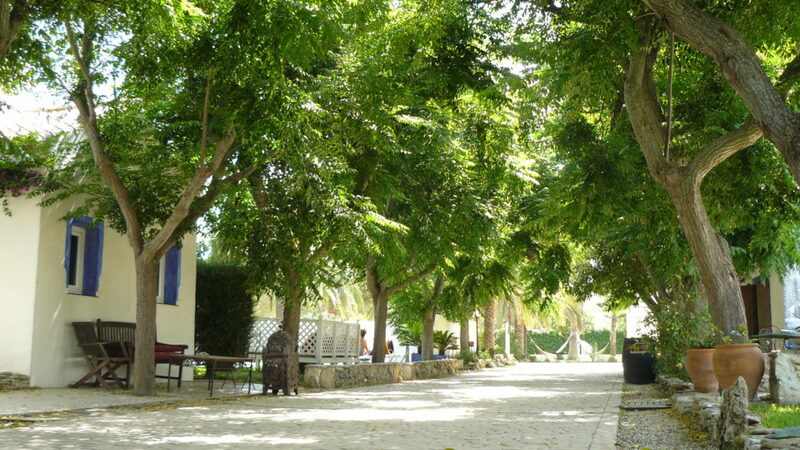 Lovely garden.The only BUT is, that we the website was not updated about the price. It is now! But the price is fair. Perfect for family and couple of lovers too!